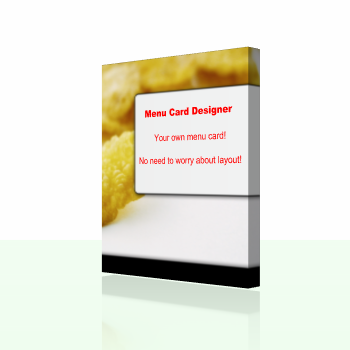 Design and print your own menu cards yourself! 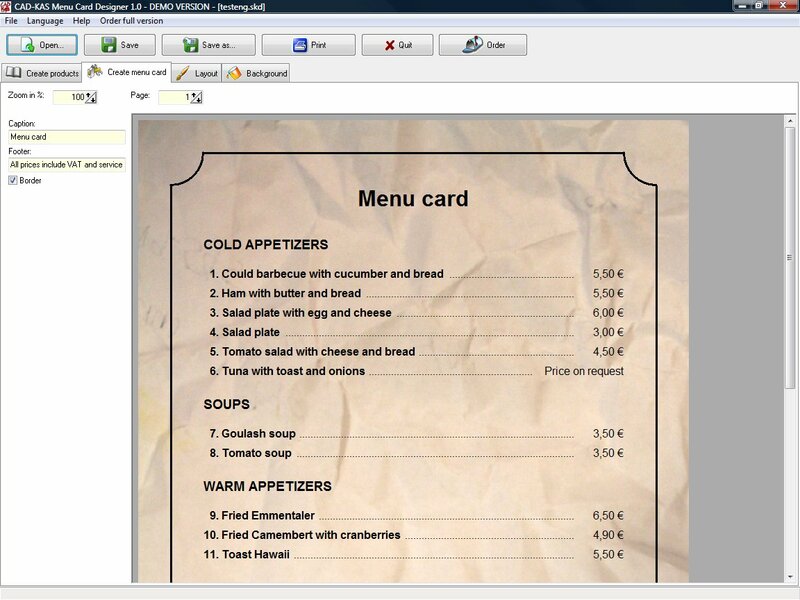 You only input all dishes and drinks into the program and change the layout a little bit. 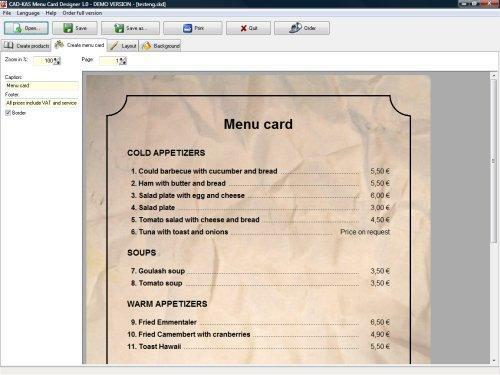 And ready is your menu card. Because the product information will be stored separated from the layout you can change the products and prices very easily anytime. You can export the product information as CSV file.